Hello all. Nick Zizo and I have decided to run our very popular "The Wind And The Lion" game again due to popular demand and constant requests. The battle we will be playing is the final engagement of the movie where the US Marines attempt to return Mrs. Pedecaris to America and the Riffian Berbers attempt to free the Raisuli while the Bashaw's forces and their German and French allies try to prevent his liberation and end up fighting off both the Riffian Berbers as well as the USMC at the same time! This game will be run at the HMGS-South's Recon 2014 convention in Orlando Fl. Here's the convention link.http://www.hmgs-south.com. April 24th to the 27th, 2014. Since we are HUGE fans of the rules set, The Sword And The Flame, and we've been playing the original set since the early 1980's, we will be using TSATF 20th anniversary edition in 25/28mm scale. http://www.sergeants3.com for TSATF rules and rules variants. The game will have several pieces of custom terrain made to copy the iconic setting of the movie, along with the arch set from MBA which was made especially for this purpose, by the way. All the forces and characters involved in the movie battle will be included in the game, some having special rules. We have run this game at a few of the HMGS-South's cons and at Colonial Barracks in NO, link attached: (http://www.sergeants3.com/colonialbarrack_21.html). Colonial Barracks is a fantastic con any colonial gamer, a fan of TSATF rules sets, or of Larry Brom’s other rules just can’t afford to miss. We may have even run it once in the colonial rooms at Historicon in the past. Danno, Wish you could too brother! We had a blast running this game with Y'all at the first Colonial Barracks. Jeff -- YOU ARE BLOGGING!!! That's awesome, dude! Well done, and have fun doing it! Man, I also wish I could be there at your upcoming con, as I was at that first Colonial Barracks. Your "The Wind And The Lion" game that Saturday night was one of the most fun and memorable games I've ever played! "PEDICARIS ALIVE... OR RAISULI DEAD!" Ethan, We most certainly had a blast at the inaugural Colonial Barracks! Thank you very much for the kind words. Running that iconic game was just as much fun for me as for the players. The end between you and the Raisuli was amazing!!! 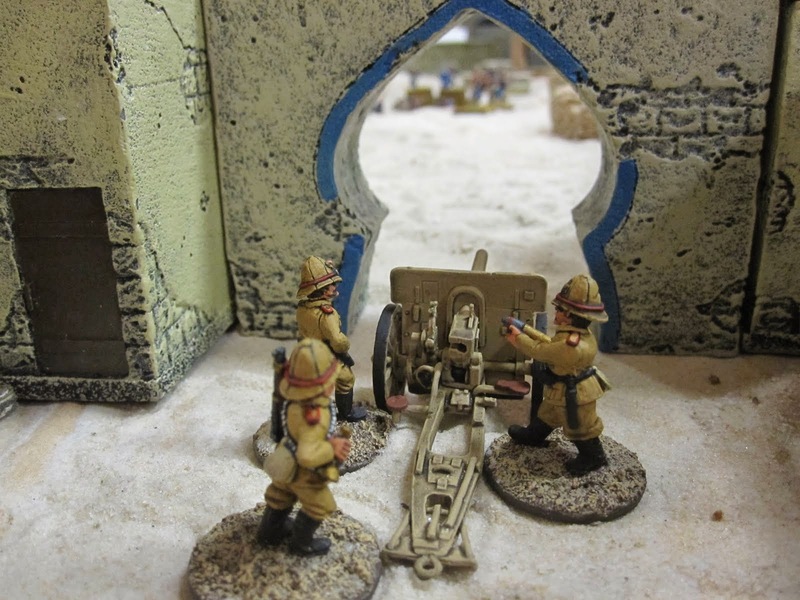 The true high point of that con for me though was playing in you Epic Maiwand game. That will go down in wargaming history as trully one of, if not the best, game in hobby history!!! The detail, research, amazing terrain boards, fantastic figs....trully awe inspiring. Not to mention the distance you and the game traveled to honor us with its presence. May you be at the next running of "The Wind And The Lion" my friend. I wouldn't say I'm blogging, just getting my feet wet. Needed someplace to put some game pics.